The Winter Sport 5 provides superior gripping capabilities on slippery surfaces thanks to innovative angled centre sipes which increase in length and bite on to surfaces. This enables them to retain contact with the road for enhanced safety on slippery winter roads. Designed with an increased number of tread blocks, the Winter Sport 5 maintains surface contact for enhanced traction on snow and ice. In addition, specialist v-shaped grooves create a fine network, which work to collect snow in the tread, which helps to improve traction and grip. 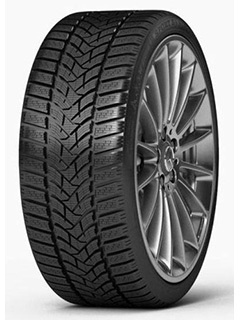 The Winter Sport 5 provides high levels of safety in wet conditions thanks to deep grooves which enable the tyre to evacuate large quantities of water and snow. This helps to provide resistance against aquaplaning and maintain control on wet roads.